Below you'll find links to many of our past global newsletters from WorldTaiChiDay.org on World Tai Chi and Qigong Day organizing, Breaking Medical Research on Tai Chi and Qigong, Articles on Tai Chi and Qigong practice, fun and fascinating articles on the Philosophy and Science of Tai Chi and Qigong, etc. If you haven't already, click on "Join Our Newsletter List" at the top/right of this page to get our FREE weekly ezines in the future. 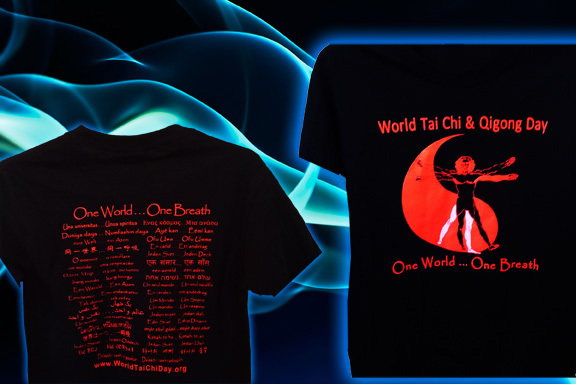 AND how, together as a global Tai Chi and Qigong family ... we are changing the world. LITERALLY, this is not fanciful poetry. Together we have exposed over ONE BILLION potential media viewers/readers to Tai Chi and Qigong in the 20 years of staging our global health educational events worldwide; connected over ONE Million of our WorldTaiChiDay.org site visitors to teachers in their areas; and seen the use of Tai Chi and Qigong increase by nearly 300% during our years of efforts! Please share these newsletters, by copying/pasting the url's of them when you open them, into emails, social media, etc. We put endless hours into creating this FREE Ezine Magazine "All Things Tai Chi and Qigong," as a gift to the Tai Chi and Qigong family worldwide. Please honor our work, by sharing these free ezines widely. Your groups, students, association members will enjoy all these free articles, research, and resources. It will make your local newsletters "spicier" things for your groups to enjoy. We do NOT compete with local teachers, we work to support you and provide you (and your students) useful resources. MORE ARCHIVED NEWSLETTERS ARE ON THEIR WAY, bookmark this page and check back from time to time! Why should we Share Tai Chi & Qigong with the world? Because a healthier, clearer, calmer world benefits us all. Click to continue on to ""Community Kit" our Community Organizing Kit"